Clean glass should be top priority in an aquascape, or rather, in all beautiful aquaria. A murky sight of the underwater scape and its inhabitants due to an algae layer on the glass lowers the spectators' joy considerably. Glass cleaners should possess various qualities. On the one hand, they must not leave scratches in the glass, especially in low-iron-glass tanks. However, on the other hand, they need to remove any and all dirt and plaques, and moreover, they need to be comfortable to work with. 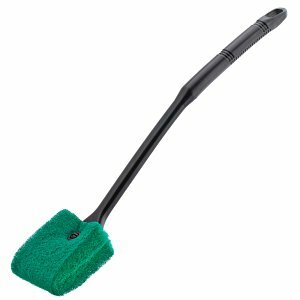 Blade cleaners come in different lengths so you can reach the entire glass walls of your tank, be it large or small. 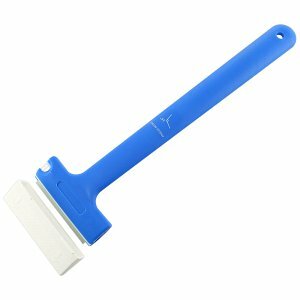 Blade cleaners like the Pro-Razor by Aqua Design Amano (ADA) enable you to remove plaques and dirt even from the most difficult-to-reach parts of the glass. With cleaning sponges especially made for aquaria you can remove plaques entirely, too. Please make absolutely sure that no sand particles come between the sponge and the glass, as they would leave bad scratches. Over time, the glass panes can get stained, for example, by deposits that are formed by algae or bacteria. This restricts the view inside the aquarium. Natural predators, which eat biofilms and algae coverings, can certainly help keeping the panes tidier between cleaning operations. These include the various types of shrimp, fish with a sucker mouth such as antenna catfish or Oticinclus and especially snails such as Neritina or Clithons. 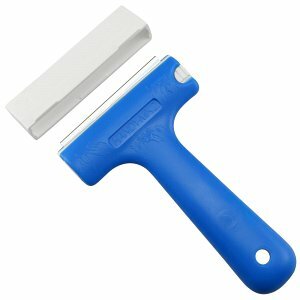 A variety of tools for pane cleaning are available in aquaristics. 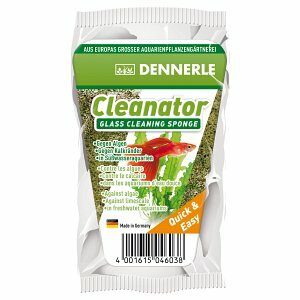 Soft coverings like diatoms or green algae can be easily removed with a sponge. 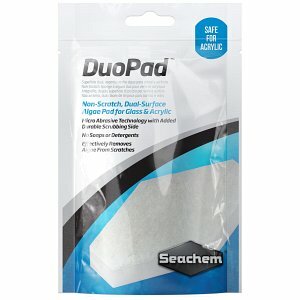 For harder films like spot algae, we offer the so-called blade cleaners. These are available in our online shop in different variants: With plastic- or stainless steel handle, blades in different lengths, with or without telescopic handle. We of course also offer matching replacement blades. Models made of stainless steel, the so-called Razors, are particulary popular in aquascaping. With the help of those tools, you can easily remove all kinds of films without getting your hands wet, thanks to the long handle. For taller aquariums, the handles can be lengthened via an extender, increasing the range. 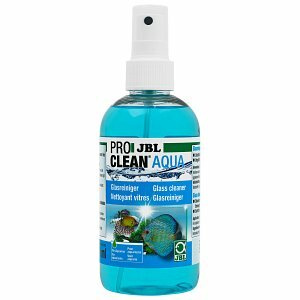 A tried and tested aquaristic classic are magnetic pane cleaners. 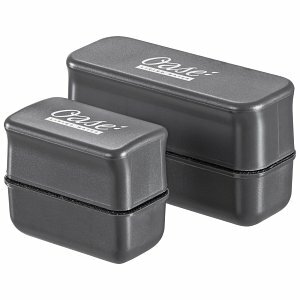 They are comprised of two magnetic parts, one for the outside of the aquarium and one for the inside. The inner cleaner can be operated with the external grip, since both parts stay connected through the glass via their magnets. 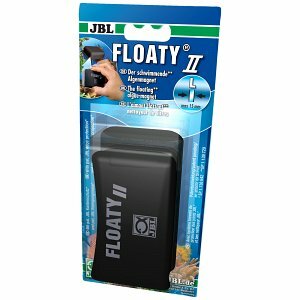 With this cleaner you are able to clean the inside of your aquarium, without getting your hands wet, too!. However, caution is advised here! If small soil particles get caught between the magnets, there is a risk of scratching the glass.